As millennials continue to leave traditional Christian religions, interest in Wiccan and pagan practices have seen increased interest in recent years, a trend also spotted among young people and on college campuses. Pagan or Wiccan student groups are present on a number of college campuses — both secular and religious — across the nation. The growing normalization of such practices, albeit still a minority, corresponds with the decline in Christian believers, some observers note. A recent report in Market Watch headlined “Why millennials are ditching religion for witchcraft and astrology” argues as much, for example. “Whether it be spell-casting, tarot, astrology, meditation and trance, or herbalism, these traditions offer tangible ways for people to enact change in their lives,” Melissa Jayne, owner of the Brooklyn-based “metaphysical boutique,” which has seen a big increase in 20-something customers in recent years, told Market Watch. “For a generation that grew up in a world of big industry, environmental destruction, large and oppressive governments, and toxic social structures, all of which seem too big to change, this can be incredibly attractive,” she said. The article goes on to cite several businesses that have successfully latched on to this trend, from online purveyors of tarot cards to popular astrology apps. The article also cites recent Pew Research Center data that found 25 percent of Americans now identify with no religion, as opposed to 2011’s 18 percent. Underscoring that, a 2014 National Science Foundation poll found nearly half of all Americans say astrology is either “very scientific” or “sort of scientific,” UPI reports. With that, it may be no surprise to see interest in paganism is also alive and well on campus. 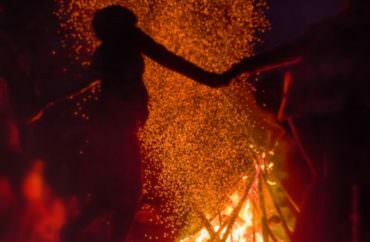 Today a number of universities around the country have officially recognized Pagan or Wicca student groups, usually housed under their respective religious student activities departments. A 2015 report in Inverse argued that the increase in interest might also be traced to a passion for the environment, as well as a decreased interest in organized religion among young people. While many news reports note the rise in interest in paganism or wiccanism among millennials, they are also quick to note it’s not a huge or overwhelming one. Indeed, a search by The College Fix found a number of student Wicca organization websites are defunct or haven’t been updated in over a decade, suggesting they dissolved or no longer exist. The University of Chicago, Rutgers, Syracuse, The Air Force Academy, Illinois State University, University of Southern Maine, Concordia University, Drew University, and Chapman University all have or have had functioning clubs, according to an Internet search. The College Fix reached out to all of the student groups listed above, none could be reached for comment. By most accounts, Wiccan and pagan beliefs have at least become more mainstream. Sanders also notes most Wiccans do not believe in Satan, but they do believe evil exists.